USS Michigan in the Port of Busan, Korea. Petty Officer 2nd Class Jermaine Ralliford. The Ohio-class US Navy submarine has a reputation for carrying Special Operation Teams because it’s one of the largest in the Navy’s fleet. When the USS Michigan stopped in Busan, a South Korean City, many noticed the silos on top that could be carrying SDV’s (SEAL Delivery Vehicles). These SEAL delivery vehicles are tiny subs used to carry Navy SEALS and their gear straight into enemy territory. While submarines occasionally have a single silo attached to create extra equipment storage space, silos aren’t often used because they cause drag, which decreases the stealthiness of the submarine. That the USS Michigan has two suggests there’s a need for more SDVs and equipment than usual. Currently, the US Navy has 18 Ohio-class submarines in its feet. They are nuclear-powered and are often equipped with Tomahawk missiles. While it was confirmed that the silos are used to carry SDVs when needed, the US Navy did not confirm if that was what was in the two atop the USS Michigan, nor what personnel was on the submarine as it does not disclose any information and the deployment of U.S. Navy SEALS. 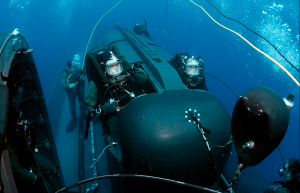 US Navy personnel training with an SDV. US Navy photo by Chief Photographer’s Mate Andrew McKaskle. 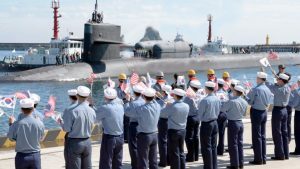 However, back in early April, when the USS Michigan last visited Busan, it did carry Navy SEALS to train with South Korean Forces to prepare for a possible confrontation with Kim Jong-Un. The US continues to put aggressive and massive pressure on North Korea to end their missile testing and threatening of other countries. China has also stepped up and gone further in sanctions than it ever has along with many other countries. Let us know in the comments below what you think about what’s happening in North Korea and what we should do, and we’ll send you FREE SGPT STICKERS! Need a new workout routine? Check out SGPT’s 6-Month Training Program! 180 days of iron-sharpening workouts to help you forge mental toughness, dig deep and learn how to pursue all your goals relentlessly. The program comes with a full money-back guarantee because I’m positive it will help you. 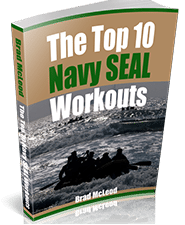 Awesome workouts all laid out to be a a complete mental and physical training program. Email me any time at brad@sealgrinderpt.com and I will answer! Hundreds of athletes, male and female, have used this program with great results. CLICK ON THE BANNER ABOVE AND GET GOING! 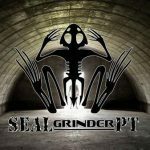 Question: Hello, would you recommend SEAL grinder PT for nonathletes as well (Mission Statement)? In other words, is it for those who currently have little to no fitness routine but want to begin anew? Hello, I am currently exercising twice a day to gain strength and stamina however, at 56 yrs. I’ve encountered some difficult issues which have impeded my mental toughness. Was wondering if your program was right of me and my situation. 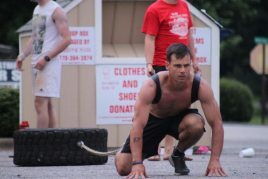 Answer: Yes our workouts can be done by anyone including nonathletes; you should do our daily workouts here in the membership area:http://members.sealgrinderpt.com. Let us know if you have any questions about any of the workouts. Question: Brad, I have been following you quite a while now and you are a huge inspiration for me. 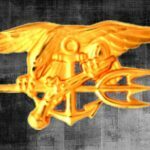 You inspired me to become a Navy SEAL, and your awesome workouts have helped me prepare. Long story short, I am heading to Basic May 15 with a SEAL contract, and I am trying to soak up all the BUDs/teams knowledge I can and preparing for it. I figured who better to ask than you! Anyway man, if you have any advice I would appreciate it! Thank you for keeping me fired up! And thank you for being a patriot!! Need a way to boost your energy and ensure you’re getting all the nutrients you need? Here at the SGPT Underground Bunker, we use Athletic Greens to make we have all the energy we need to have a killer, kicka** day and can meet any obstacle head-on. One scoop delivers 11 important superfoods, is chock full of essential vitamins and amino acids and mixes great with protein shakes. Shoot us a photo through the SGPT Facebook page of you with your tub of Athletic Greens—and we’ll send you a FREE SGPT WORKOUT PRODUCT! I believe Kim Jong-Un is absolutely testing the limits. The fact that he already launched a missile flying over Japan is frightening. Therefore it’s a good thing that we have Donald J. Trump as our Commander-in-Chief because he, probably like no one else, is willing to confront the Rocket Man aggressively. And I do believe that is what’s needed. The fact that Mr Trump’s advisers like General Mattis and Rex Tillerson aren’t as hawkish as Mr Trump himself will see to it that the situation regarding this wild west duel won’t get out of hand. 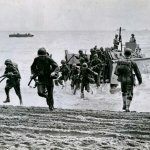 Like many situations in today’s geopolitical landscape, this will rather be a marathon than a sprint. Russia and China both have an interest in keeping the North Korean regime in place as a buffer between themselves and U.S. troops stationed in South Korea. So it is likely that Kim Jong-Un remains in power. Last but not least, the fact that China now participates in posing sanctions against North Korea is maybe the best signs of them all because it shows the Rocket Man that his support amongst former allies is slowly thinning out.